Music festivals in Slovakia have fully developed since the 1970s, and some even earlier as well. Since their birth they have had a crucial importance for the cultural development of Slovak regions. Some of them have achieved international recognition and even the most important artists of the world have attended them. The most important and most prestigious international festival in Slovakia, held under the auspices of the Ministry of Culture, is Bratislavské hudobné slávnosti – Bratislava Music Festival. The festival lasts for two weeks in October. It was first held in 1964 and since 1973 it has been a member of the European Festivals Association EFA in Brussels. The main residence of the organizers of the festival is the historic building Reduta, which houses the Slovak Philharmonic Orchestra. There have also been key concerts of larger orchestras. Chamber Ensembles perform in the Moyzes Hall and opera and ballet performances are located in the historical building of the opera of the Slovak National Theatre. Every year the most important home and foreign orchestras and performers hold their performances here. We may mention at least the world-famous orchestras Wiener Philharmoniker, Berliner Philharmoniker, Royal (London) Philharmonic Orchestra, Česká filharmónia – Czech Philharmonic Orchestra, Varšavská filharmónia- Warsaw Philharmonic Orchestra, Moskovská filharmónia – Moscow Philharmonic Orchestra and others as well as interpretative persons such as conductors Jiri Belohlavek, Dennis Russel Davies, Alain Lombard, Lorin Maazel, Libor Pesek, Helmut Rilling, Gennadij Nikolajevic Rozdestvenskij, Horst Stein, Jevgenij Svetlanov; soporanists Lucia Popp, Edita Gruberova, Katia Ricciarelli; tenorists Sergej Larin, Peter Schreier; pianists Friedrich Gulda, Garrick Ohlsson, Boris Berezovskij, Bruno Leonardo Gelber; violinists Leonid Kogan, Igor Oistrach, Vladimir Spivakov, Joshua Bell, Vadim Repin; cellist Miklos Perenyi and many other world-recognized artists. The competition of young performers is held under the auspices of Unesco, the International Music Council IMC and Slovak Radio. In this competition young talented artists get the chance to impress everybody. This was the starting point for famous singers Peter Dvorsky (tenor) and Sergej Kopcak (bass) and the trumpet player Juraj Bartos and violinist Dalibor Karvay. The “Forum of Young Performers” New Talent and The International Musicological Conference are the most important accompanying events. The international music festival Košická hudobná jar – Košice Music Spring has an even longer tradition. It was established back in 1956. Domestic and foreign soloists, chamber ensembles and orchestras of classical instrumental and vocal (opera) music perform annually in the House of Art and the State Opera in Košice. This Festival is accompanied by exhibitions of artists and literary – musical evenings. Guitar fans can look forward to the International J.K. Mertz Guitar Festival, which takes place in Bratislava in June and is named after the native of Bratislava, guitarist and composer Johann Kaspar Mertz (1806-1856). It is one of the oldest guitar festivals in Europe. The competition for young guitarists is an inseparable part of the festival. The world’s most prominent guitarists – composers, performers and teachers as for example Leo Brouwer, Jose Miguel Moreno, Jozsef Eotvos, Fabio Zanon, Maria Esther Guzman, Ricardo Jesus Gallen, Dagmar and Jozef Zsapka etc. are invited to these annually organized master courses, lectures, seminars and discussions. The concerts are attractive, not only by choosing the best of classical music performed by interpretive peaks, but also because there can be heard songs in the style of jazz, latino and flamenco. Evening concerts are held in the Concert Hall Klarisky and in the Hall of Mirrors of the Primate’s Palace etc. In the garden of Albrecht’s family house, the famous musician family, we can enjoy songs by local performers. The festival Dni starej hudby – Days of Early Music has been held every year in October since 1996 in different concert premises. Top domestic and foreign ensembles performing older classical music meet at this festival and let historical kinds of music (fugue, canon, invention, chant, sonata and others) come alive. Musicians playing archaic period musical instruments find their way in modern metamorphoses of contemporary composers. Philosophy, aesthetics and interpretation of old classical music are discussed in seminars, workshops and discussion forums. The category of festivals with innovative dramaturgy traditionally includes well-established as well as new festivals of classical music. At the beginning of the 1990s the festival Mélos-Étos started its activity. It is held every other year in November in Bratislava. The number of concerts ranges from 15 to 20. Since 1993 the festival has been a member of the association European Conference of Promoters of New Music. Melos-Étos is profiled as the authors’ festival, more than half of the presented works are Slovak premieres. 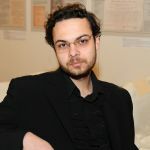 Domestic composers get an exclusive chance at the festival to compose various works intended to be performed for the first time at festival concerts. Each festival has its guest – a distinguished composer from abroad. At the festival songs of important foreign composers who personally took part in concerts, for example Gyorgy Ligeti, Vinko Globokar, Sofia Gubaidulina, Henryk Mikołaj Gorecki, Zygmund Krauze, Arvo Part, Krzysztof Penderecki, Erkki-Sven Turr, Steve Reich and others have been heard at the festival. Newer festivals include the international chamber music festival Konvergencie – Convergences which takes place in Bratislava and Košice. This festival abounds in multi-genre performances, clashes of various musical cultures ranging from the ethno world, through jazz and rock to classical music, unconventional instruments and unconventional philosophies of interpretation. Different films, discussions with important personalities, educational concerts, the sale of sheet music and theatre satire complete the atmosphere of the festival. NEXT, the Festival of Contemporary Music in Bratislava has been held since 2000. The name is characterized by the connection New + Experimental. Experts and organizers themselves call it “a new type of multimedia festival”, even “festival for the advanced” because it requires an unconventional approach to the perception of music. Authors and artists of works present inspirational contemporary music without genre limitations, such as avant-garde jazz, free improvised music, noise, ambient, conceptual art, experimental rock (rock art), computer (interactive performances) music and multimedia. 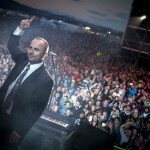 Another aim of the festival is to connect the Slovak music scene with the international one. An international project Space also focuses on modern music. It is a sort of continuation of the cycle of concerts Večery novej hudby – Evenings of New Music, which have been implemented in other new festivals. At the Space festival we can hear important works of solo and chamber musicians of the 20th century and contemporary music performed not only by renowned artists from abroad but also ambitious young musicians. The festival takes place in November. The largest summer music festival in Bratislava is Viva Musica!, which was established in 2005. The festival offers exclusive music projects of classical music as well as concerts with the songs of lighter genres. They are performed in unusual places, for example in the open-air – “under the clear sky” in the city centre. Banskobystrické hudobné dni – Music Days of Banská Bystrica in October is a major event in which the State Opera and the Academy of Arts in Banská Bystrica participate artistically and organizationally. Other major festivals of classical music in Slovak regions include: Allegretto Žilina, Kubínska hudobná jeseň – Kubín Music Autumn (Dolný Kubín), Nitrianska hudobná jar a jeseň – Nitra Music Spring and Autumn (Nitra), Kremnický hradný organ – Kremnica Castle Organ (Kremnica), Banskobystrická hudobná jar – Banská Bystrica Music Spring, Hava Nagila – Artis Prešov, Prešovská hudobná jeseň – Prešov Music Autumn, Bardejovská hudobná jar – Bardejov Music Spring and many other festivals. Jazz festivals are a specific phenomenon of world culture. They provide not only an extraordinary artistic experience, but they are also a great platform for new cooperation of musicians and organizers. An interesting feature of these festivals is the “jam session” at the end of the evening. A single ensemble of festival participants is created and they, without any training, come to the podium to improvise to the known jazz theme. “Jam sessions” are spontaneous and often at a very high artistic level. The largest jazz festival in Slovakia is undoubtedly Bratislavské džezové dni – Bratislava Jazz Days. The festival was founded in 1974 and today it is one of the most prestigious European Jazz Festivals. It lasts for three weekend nights at the end of October. 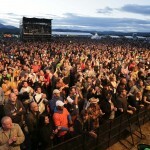 In addition to top local musicians, jazz musicians with renowned names from all over the world have performed at the festival: guitarists John McLaughlin, Al Di Meola, Carlos Santana, John Scofield, Larry Coryell; pianists Chick Corea, Herbie Hancock, Joe Zawinul, Michel Petrucciani, Michel Camilo; drummers Billy Cobham, Jack De Johnette; bassists Stanley Clarke, Marcus Miller, Ray Brown, vibraphone player Gary Burton; vocalists Bobby McFerrin, Cassandra Wilson, Gregory Porter; trumpeter Wynton Marsalis, James Morrison; saxophonists Michael Brecker, Chris Potter, Joshua Redman; violinist Jean Luc Ponty; the bands Mezzoforte, Yellowjackets, Sun Ra Arkestra, Take 6 and others. 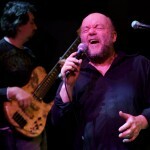 The International Jazz Festival in Košice lasts three days. Every evening three music bands perform in public places, in the halls and in clubs. The aim of the festival every year is to bring together various genres of jazz performed by professionals and young talents from domestic and foreign scenes. Jazz FOR SAle festival follows a long tradition of jazz club Klub M. The dramaturgy emphasizes cooperation with musicians from Central Europe: from Hungary, Poland and the Czech Republic together with local jazzmen. For example Adam Makowicz (PL), Michal Urbaniak (PL), Randy Brecker (USA) and others have performed there. One Day Jazz Festival was established in 2005 and is held in the spring months in Bratislava and in Košice. At the festival we can hear a variety of styles from traditional blues and soul up to modern jazz, jazz-rock and jazz-funk performed by world-class musicians. An international jazz festival Jazz Prešov was established in Prešov in 1991. 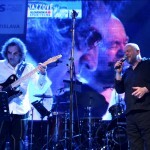 The main aim of the festival was to give space to the jazz groups of the Prešov region. Currently professional musicians and foreign jazz bands together also perform there. The only festival of its kind in Slovakia is the International Dixieland Festival in Banská Bystrica. It always takes place in May. Since 2002 it has been part of the United Europe Jazz Festival. This festival is annually attended by foreign bands and soloists from the countries of the Visegrad Group. The Mikulášsky jazzový festival – Mikuláš Jazz Festival in Liptovský Mikuláš is held every year and tries to present some of the known jazz personalities or bands, but also to provide space for young and talented musicians. It takes place during the summer holidays. A one day festival Jazz Festival Banská Bystrica –Špania dolina covers many areas of jazz. Other regional festivals are Open Jazz Festival – Zelená Voda (Nové Mesto nad Váhom) and a summer festival Helvetia in Košice. 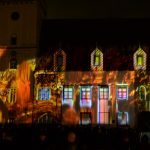 The Bratislava Culture and Information Centre (BKIS) has been organising this oldest and largest festival for 12 years. Through the festival it brings interesting multi-genre events for children and adults to the streets of Bratislava that create the summer atmosphere of the city. The programme offers the best of music, dance and theatre from dozens of countries. In Slovakia, however, there is a festival, Cultural Summer, with an interesting programme in every major city during the summer. In addition to various music concerts, there are also theatrical performances and accompanying events, for example fencing duels, sports events, fashion shows, shows of folk groups and others. The largest summer festival of popular music in Slovakia is the Pohoda Festival in Trenčín. It is always held during the second weekend of July. Bands and singers of various genres of popular music perform in the style of rock, metal, punk, house, reggae, hip-hop, but also minimal, world, alternative scene and classical music, for example the world’s elite of popular music – The Prodigy, Kraftwerk, Pendulum, Garbage, Stereo MC’s, The Cardigans, Pixies or Joan Baez or Björk. The festival also gives space to local professional musicians. The festival programme is enriched by various accompanying events: theatre performances, discussion and literary evenings, dance performances, workshops, as well as programmes of non-profit organizations. The summer festival season is opened every year in late June by the rock festival Topfest in Piešťany. Status Quo (2008), Guns N ‘Roses (2012) and Iron Maiden (2013) have performed there. We can also hear well-known Czech and Slovak bands and singers performing there. 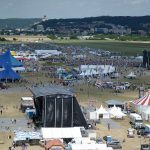 Two major concerts are organised every year in Bratislava in the area of Zlaté Piesky lake. 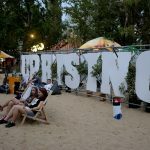 The first festival – Hip Hop žije – Hip Hop is alive – has among dozens of concerts a rich accompanying programme, for example graffiti jam, streetball, exhibitions and competitions in break dance, beatbox battle etc. The famous American rapper DMX, has performed at this festival. The second is the Uprising Reggae Festival in late August. Known personalities such as the representatives of Jamaican reggae Jimmy Cliff, Shaggy, hip-hoppers KRS-ONE, Collie Buddz, The Skatalites band and others have performed there. Similarly in late August a popular festival Lodenica is held in Piešťany. Initially it focused mainly on the country style. It is now becoming a more multi-genre event. In addition to country and western we can hear folk, blue grass or tramp music as well. A favourite music festival focusing on world indie pop/rock and electronic dance scene is the Grape Festival in Piešťany that takes place in August. A Czechoslovak multigenerational and multi-genre festival Cibula Fest takes place every July in Holíč. An attractive music programme, which includes the greatest Czech and Slovak celebrities, is supplemented by other interesting accompanying activities. There performed the German synthpop legend Alphaville. Dobry Festival in July is traditionally carried out in the Prešov amphitheatre and takes two days. Young talented bands from the region as well as theatres are involved in the festival. The programme is livened by the accompanying programme (martial and fine arts etc.). Rock and metal lovers will enjoy themselves at the festival Rock Pod Kamenom in the area of Snina ponds. During three days, the audience can enjoy the performances of domestic and foreign stars. However, there are not the only these summer festivals, there are many more: A metal oneday festival Wlesefest (Martin), a two-day-long rock festival Terchovský Budzogáň (Terchová) or RockScape (Banská Bystrica), Rockový záber (Dolný Kubín), Nestville Open Day (Hniezdne), Trident Open Air (Duchonka) , Beša Music Festival (Levice), FestDobréBohunice (Jaslovské Bohunice), Sitno Blues (Počúvadlo lake Banská Štiavnica), CampFest (Kráľova Lehota) Festival Červeník (Červeník) Galota Fest (Zelená Voda, Nové Mesto nad Váhom), Jozef Bednarik’s Musical festival (Spa Brusno) and others. In terms of artistic level as well as cultural benefits we must not omit the choir and amateur choir festivals. 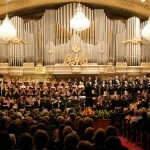 Choir festivals: ABB (Banská Bystrica, May, June), Festival of Choral Singing of V.F. Bystry (Banská Bystrica), Slovakia Cantat (Bratislava, April), Festival of Slovak choir production (Bratislava, October), Prievidza sings (Prievidza, April) The Youth Sings (two-stage festival – regional and national), Grand Prix Slovakia (Trenčianske Teplice, July), Trnava Choral Days (Trnava, October), Vranov Choral Festival (Vranov, June) and others. Sacred Music Festivals: International Festival of Advent and Christmas music (Bratislava, December), Námestovo Music Festival (Námestovo, May) and Musica Sacra in several cities. Rock festivals of young bands: Rock Beskyd Fest (Turzovka), Summer Festival Smižany, Festival of Rock School (Nitra) etc. School and university performances of chamber and orchestral bands are organized at primary schools of art, at conservatories and universities across the country. Amateur brass festivals of children and adults are firmly associated with the musical tradition of Slovak culture and are carried out in several cities.